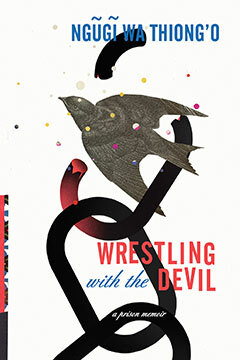 Written in the early 1980s and never before published in America, Wrestling with the Devil is Ngũgĩ’s account of the drama and the challenges of writing fiction under twenty-four-hour surveillance. He captures not only the excruciating pain that comes from being cut off from his wife and children, but also the spirit of defiance that defines hope. Ultimately, Wrestling with the Devil is a testimony to the power of imagination to help humans break free of confinement, which is truly the story of all art. This thrilling testament to the human spirit had, for me, a fierce resonance. . . . I could not help feeling that his luminous words were meant for those victims and many others being persecuted across the world, a way of urging humanity to never surrender to the demons of fear and silence.